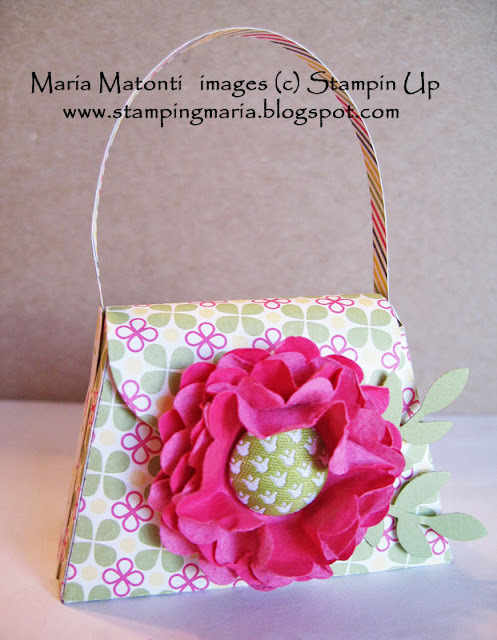 Maria's Stamping Station: Stampin Up Petite Purse Die sample and Video Tutorial! 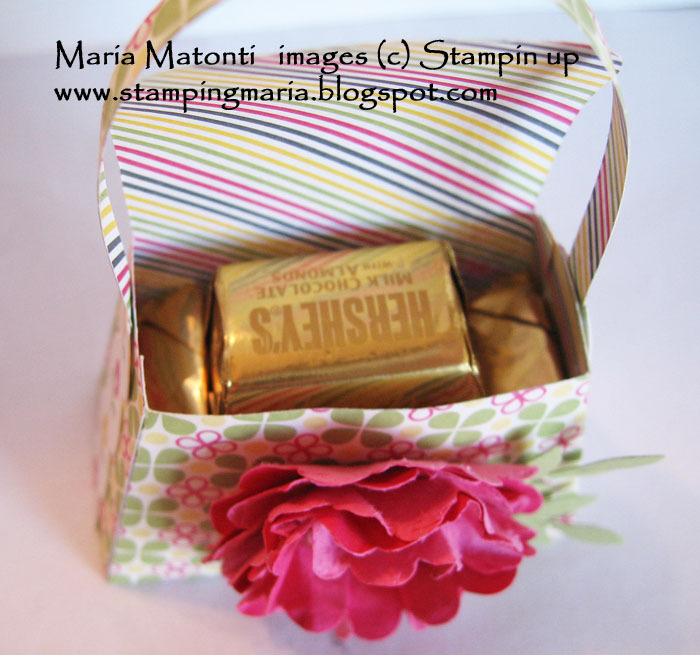 Stampin Up Petite Purse Die sample and Video Tutorial! 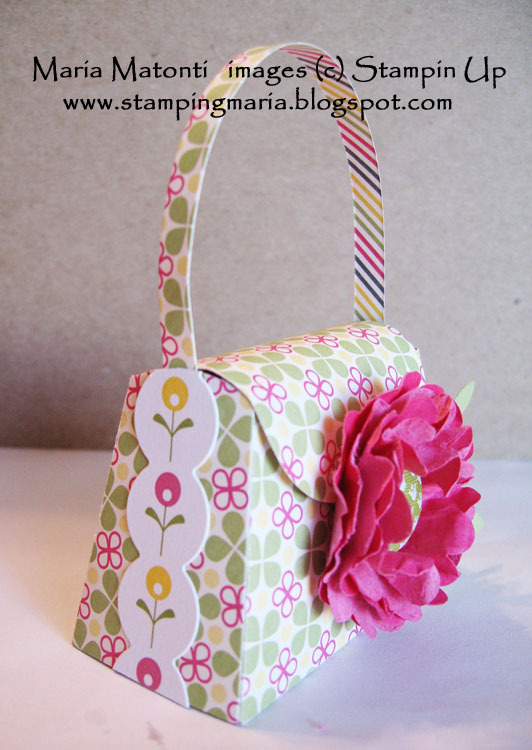 Here's a sample of the CUTE Petite Purse Bigz Die (item #125606) with the great Summer Smooches Fabric Brads (item #125589). These are on sale this month - scroll down to the 4/1/12 post to see the Summer Smooch Sale Flyer. To make the purse, I used the paper in the Spring Fever Simply Scrappin' Kit (item #124006) available in the Occasions Mini Catalog here. I put 5 Hershey Nuggets in the purse-see photo below; 4 were put in vertically and 1 was put in horizontally. ADDED: The purse measures 3" across at the bottom and 2" across on the top (where the handles are). It is 1 3/8" wide at the bottom and tapers down to about 1" wide at the top. Finally, the purse is about 2" tall. Below is the Stampin Up Video Tutorial showing you how to put the purse together. Don't forget that if you're reading this through my "Email Subscriber" service, you'll need to click on the Post Title and get to my Blog to watch the video. You can order yours HERE; be sure to choose me as your Demonstrator when you Sign Into, or Create, your Online Account to take advantage of Preferred Pricing and my FREQUENT SHOPPER REWARDS PROGRAM HERE!